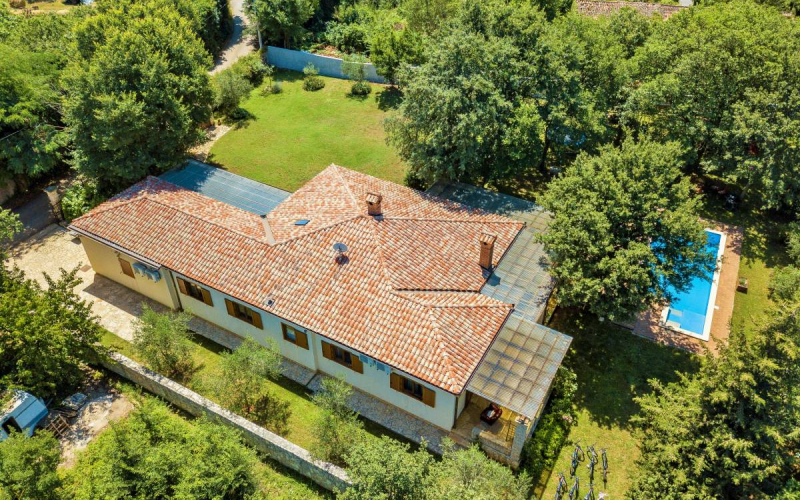 Villa Sarita is designed and built (2008-2010), with natural materials, brick, natural white stone, oak and Terracota of Istria, which were processed in a classical way. 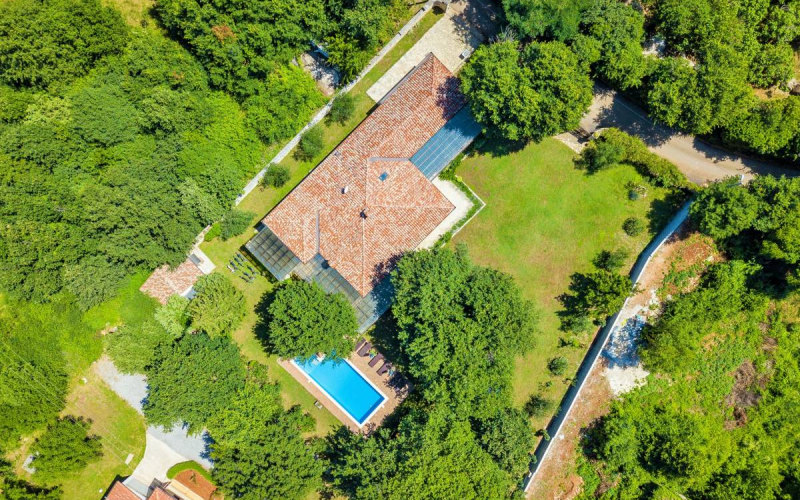 The villa covers an area of 350 m2 of living space (interior of 200m2, 150m2 terrace) and 2,000 m2 of space in the yard where is a little forest of oaks. 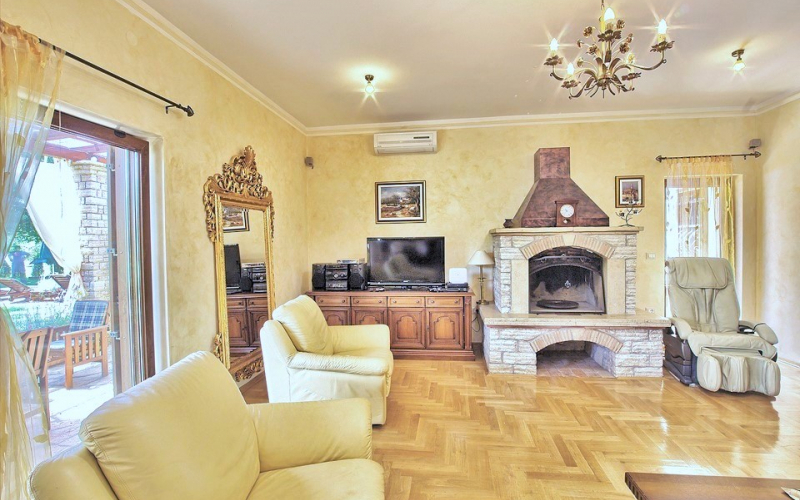 Ground floor flat is functionally designed with all the necessary space for 8-10 people comfortable room, where there is a spacious living room (35m2) and a kitchen fully equipped with all necessary equipment, small appliances and utensils, and that continues to spacious dining room ( 30m2) with a massive table (4m).The kitchen is connected with dining room ( 30m2 with a massive table -4m) and living room with fireplace, all about approximately 60 m2, and main bathroom. 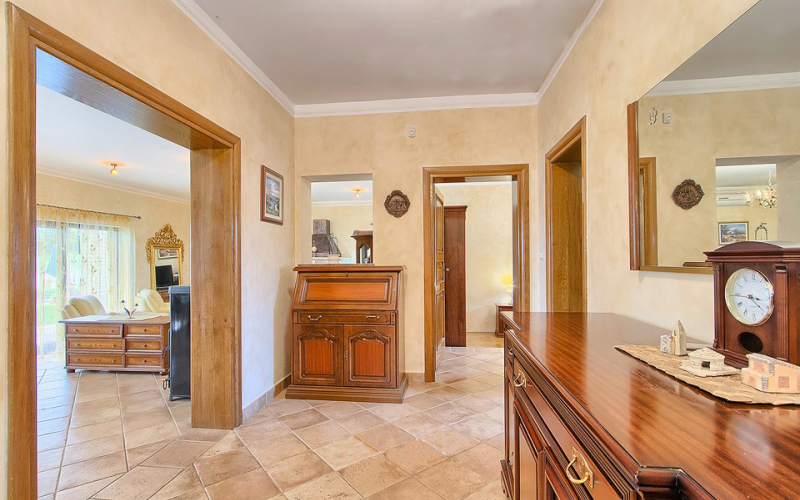 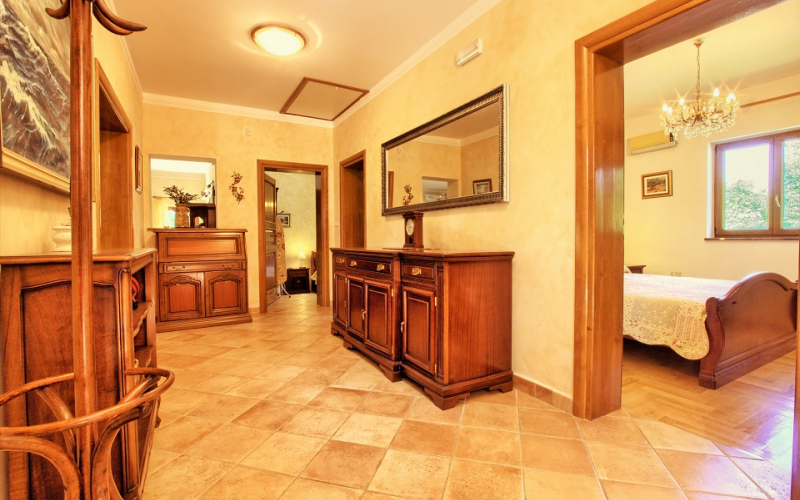 From a large and spacious hall in the entrance to the villa you can get into most bedrooms and bathrooms. 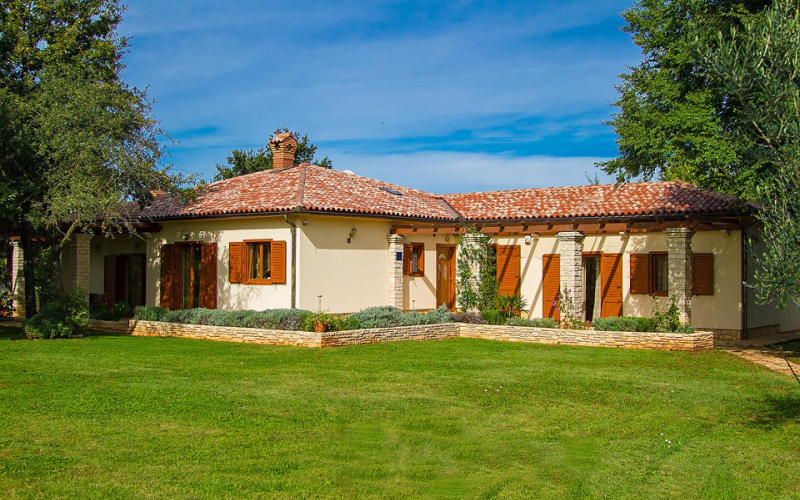 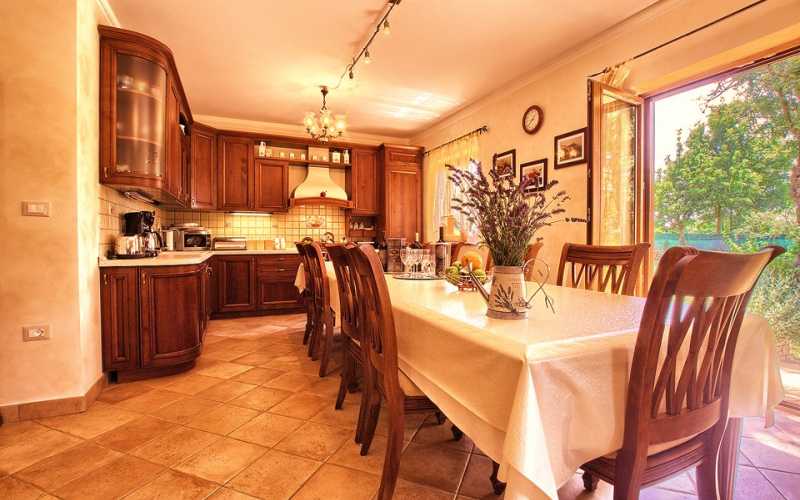 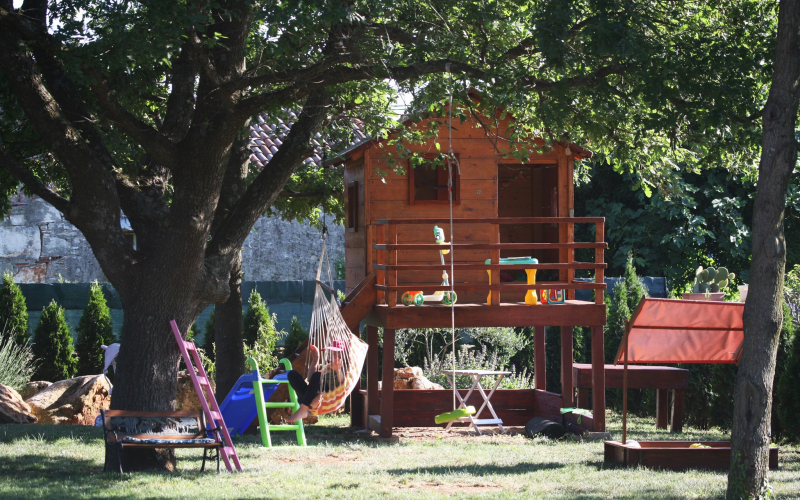 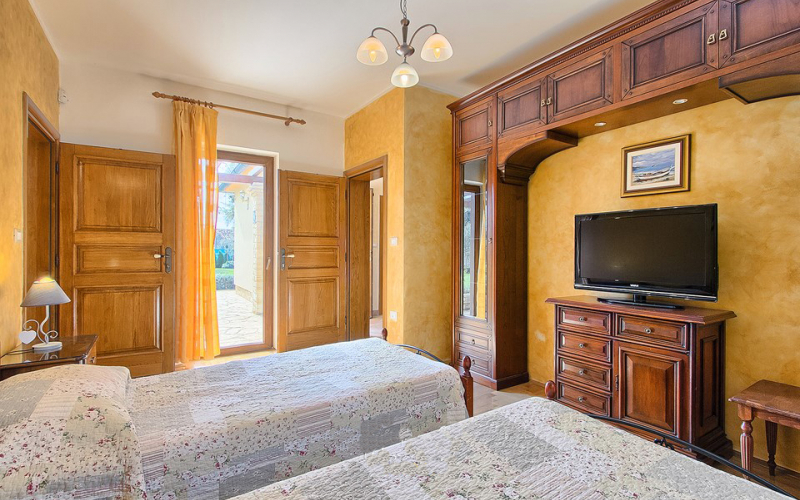 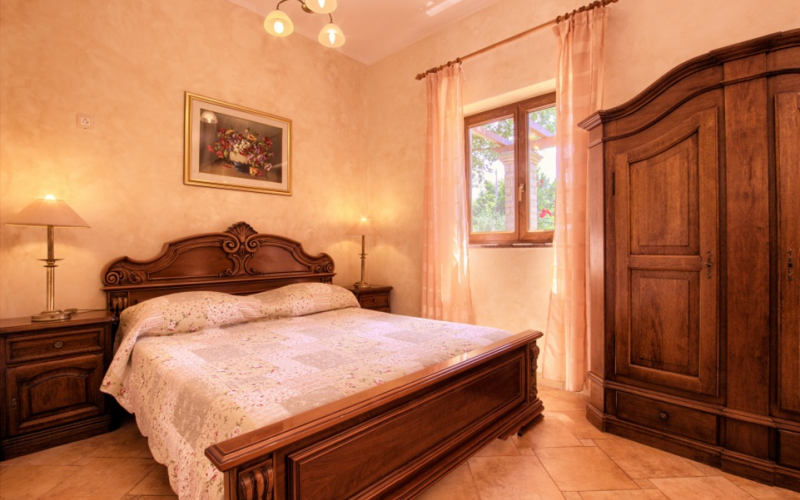 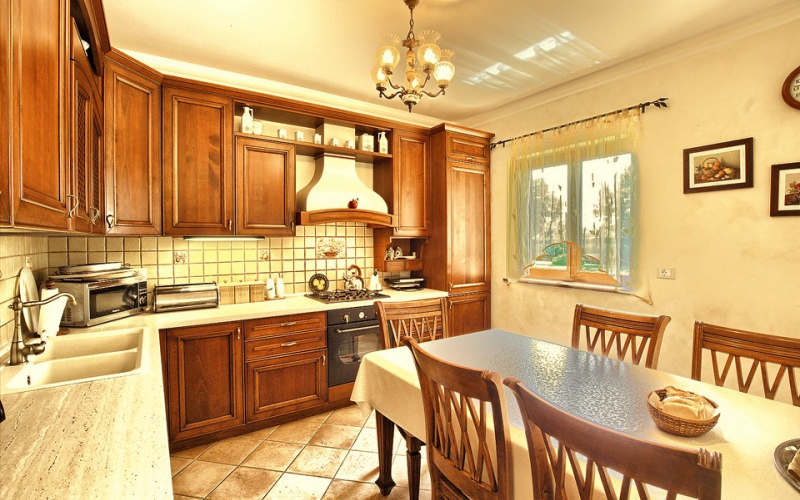 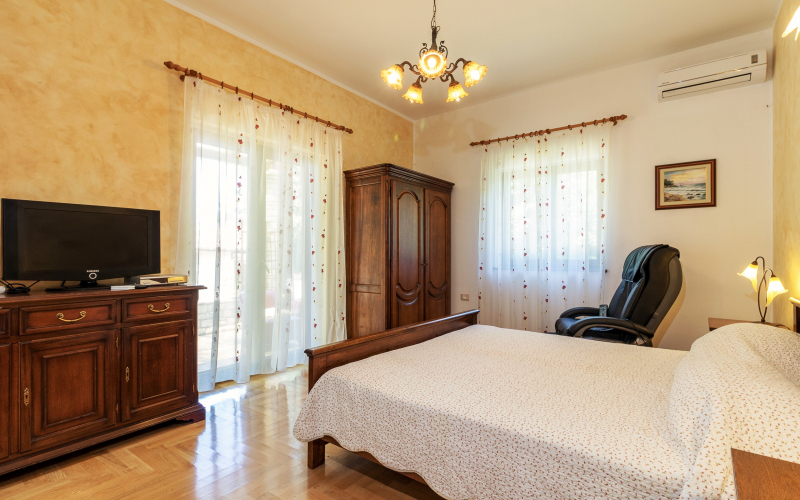 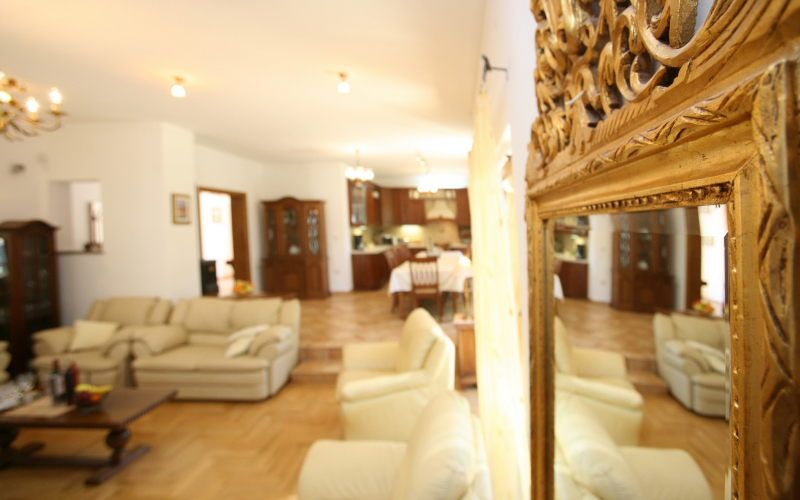 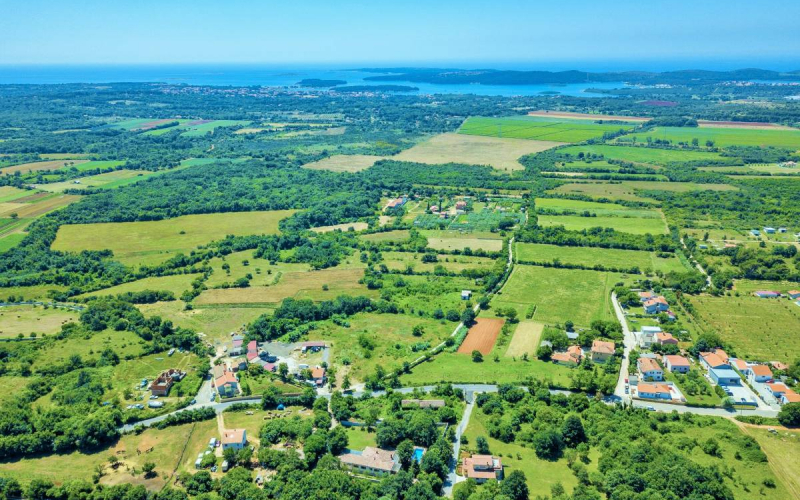 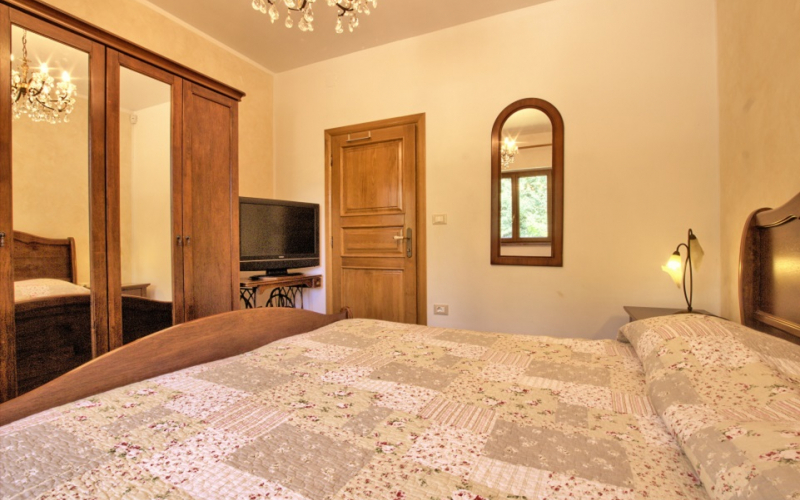 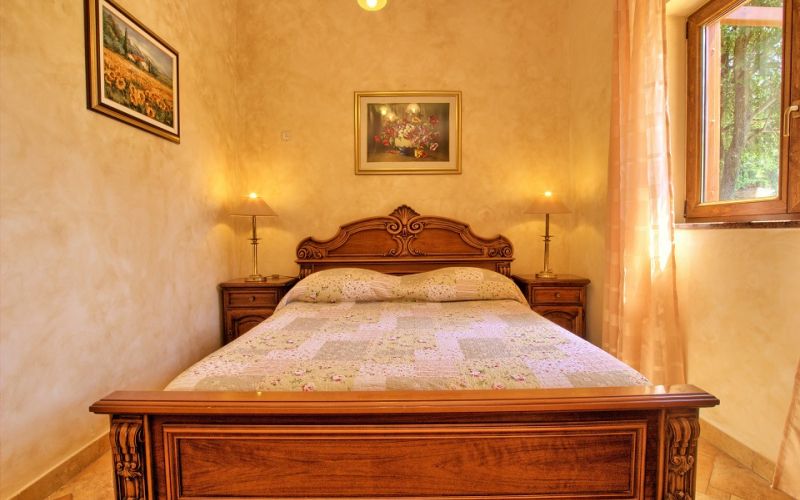 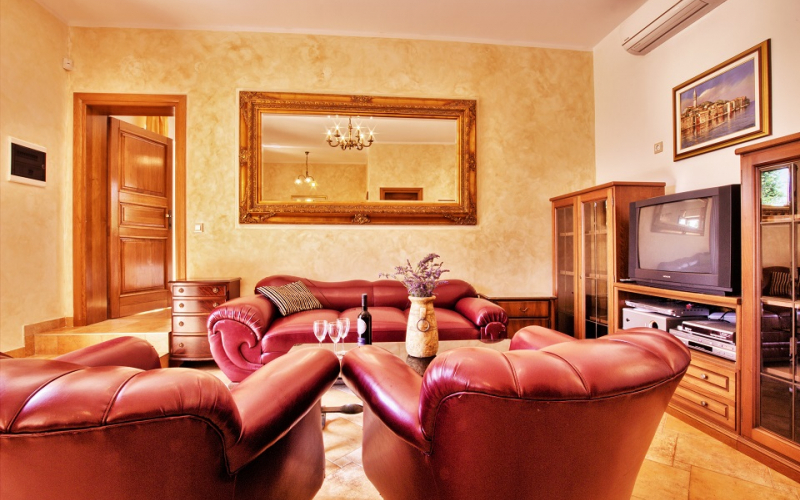 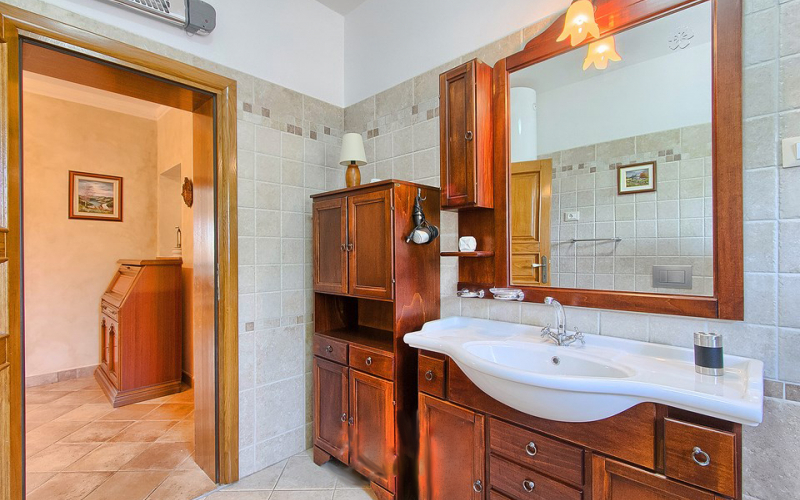 The villa is organized accommodation in 4-5 bedrooms in which the fitting used Istrian oak (classic parquet and massive doors in all rooms) and precious kinds of wood with antique furniture (cherry, walnut and mahogany). 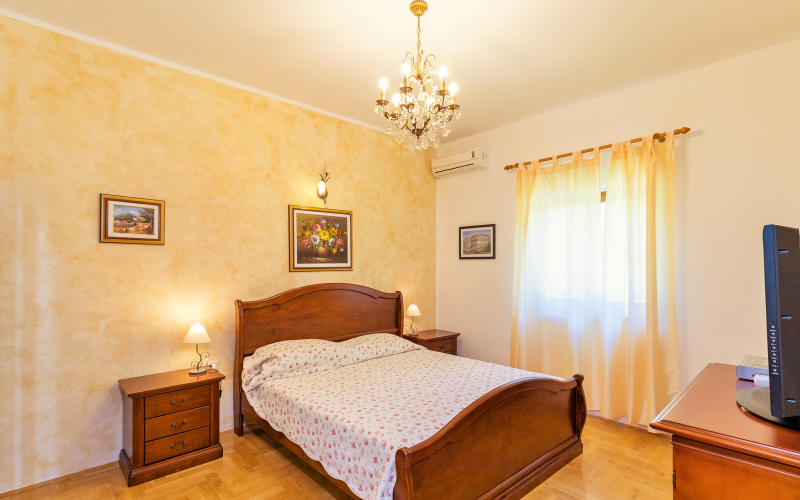 All bedrooms have capacity from 15 to 30 m2 with a double beds (1 with separated beds) and accompanying wardrobes, satellite TV and air conditioning, and the largest room of 30 m2 in addition have an additional space for piano and relax and fitness. 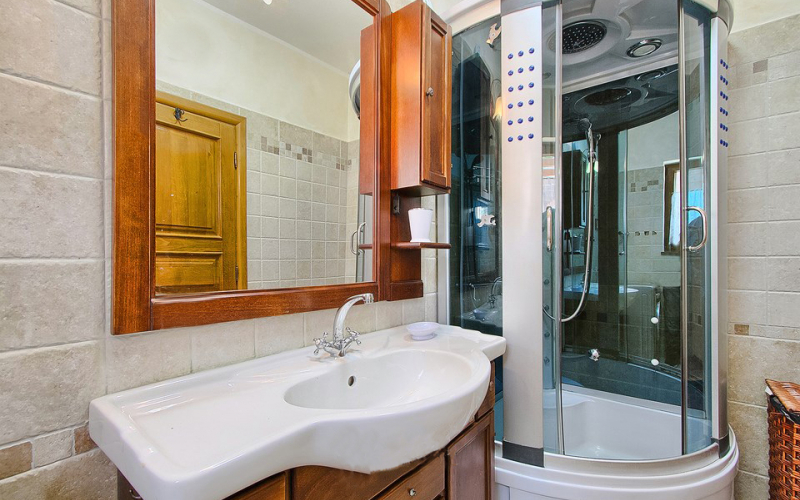 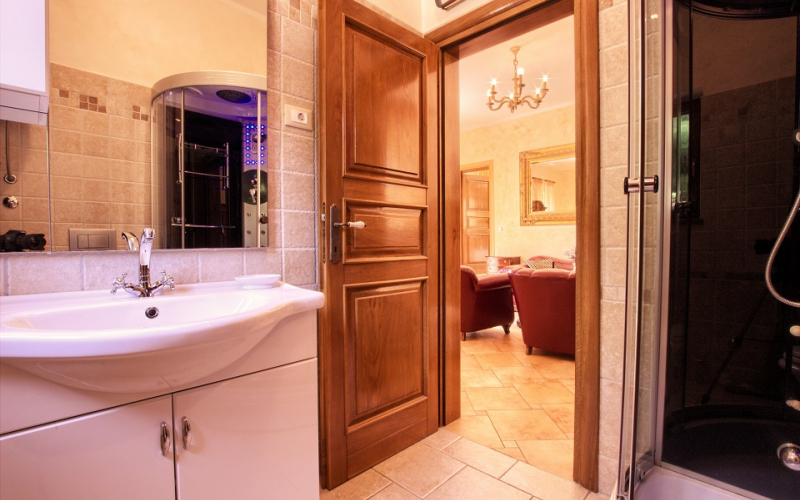 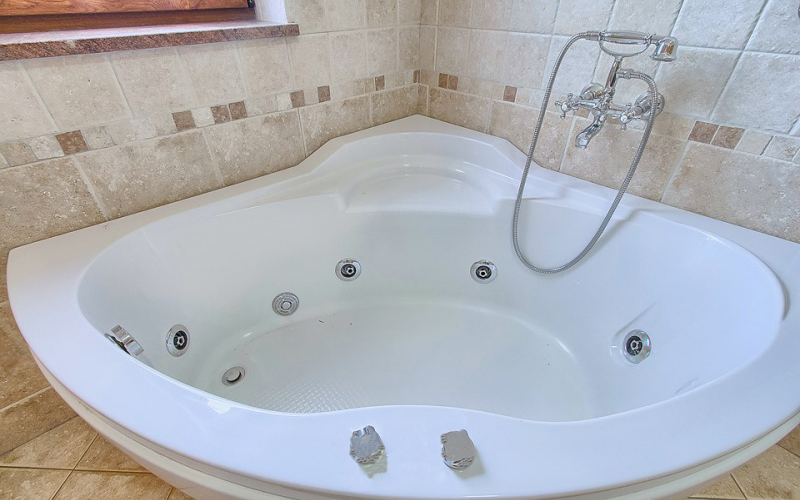 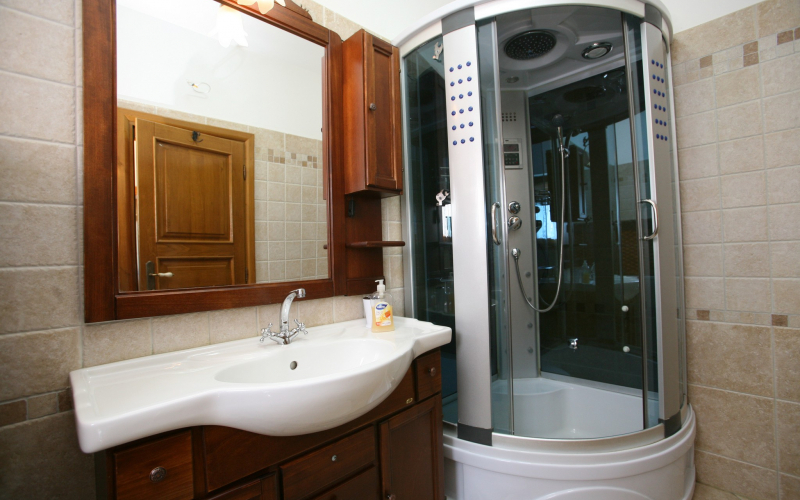 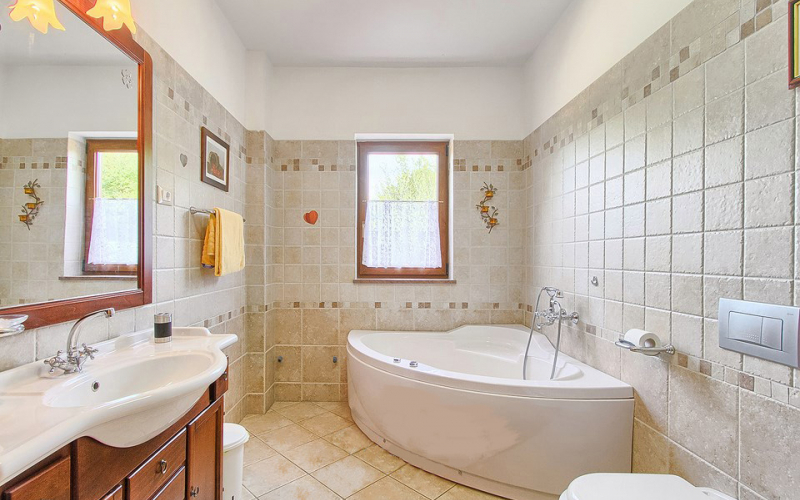 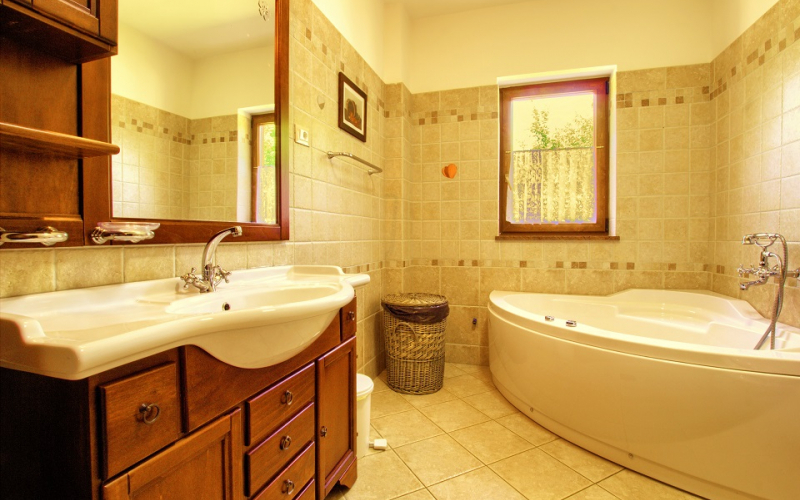 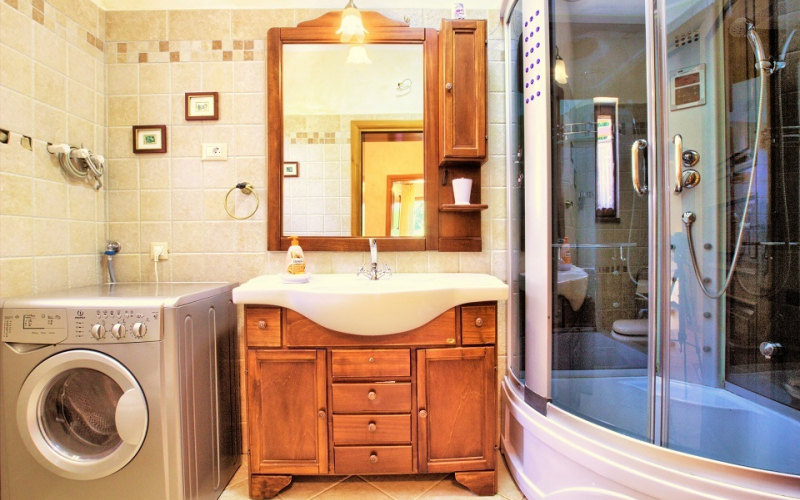 Each room has a bathroom with hydromassage shower and radio, and a largest bathroom (8m2) has a jacuzzi. 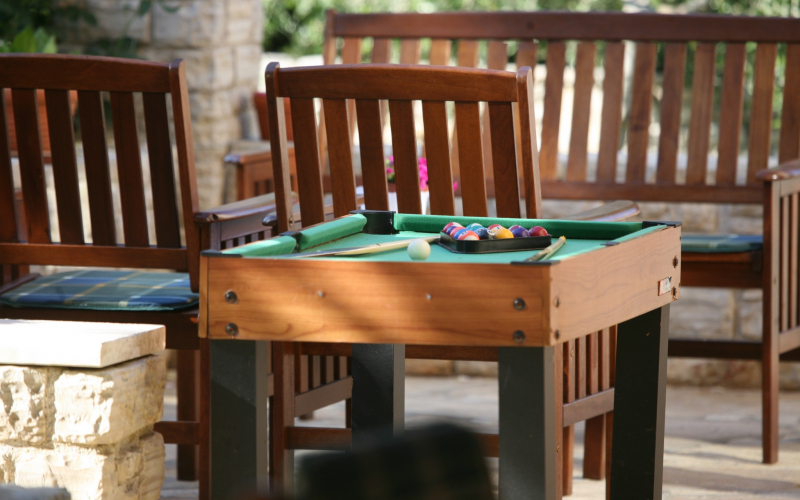 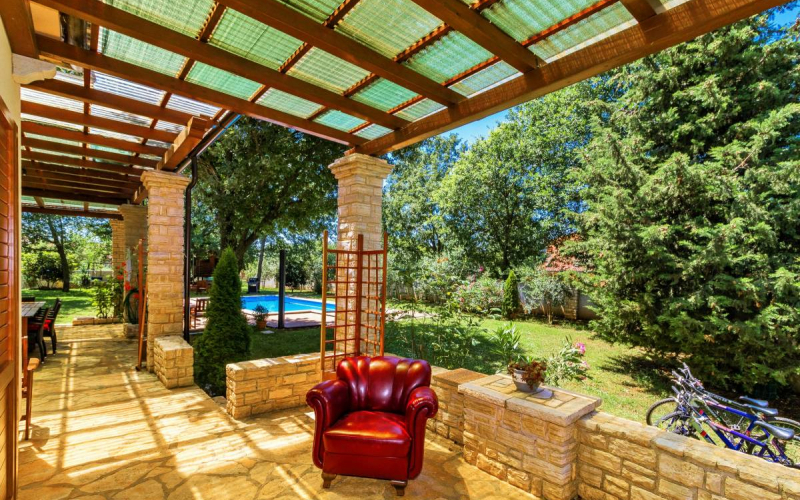 Also, all rooms have a terrace paved with Istrian stone and covered with a massive pergola under which there are deck chairs and sofas to relax. 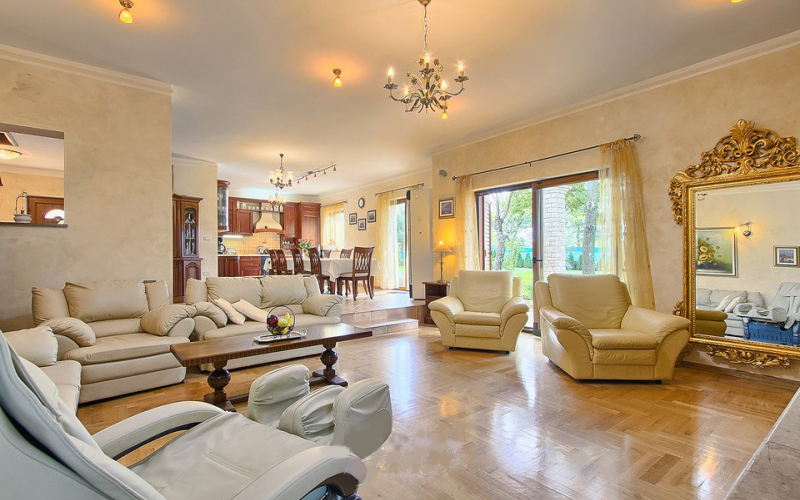 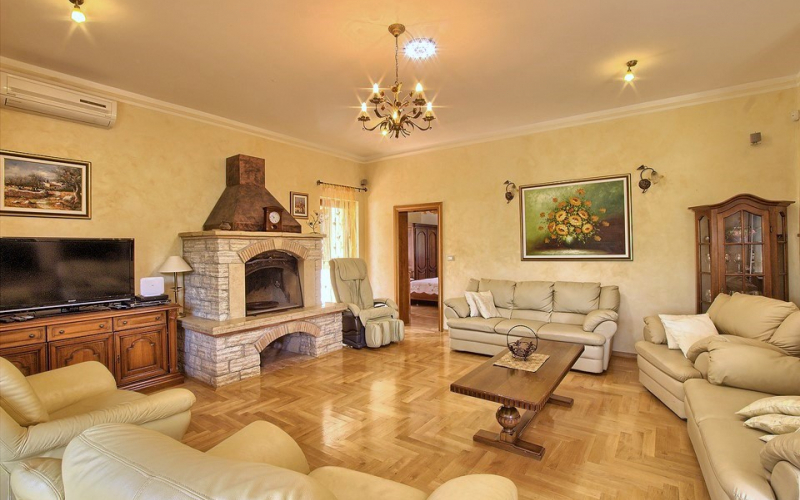 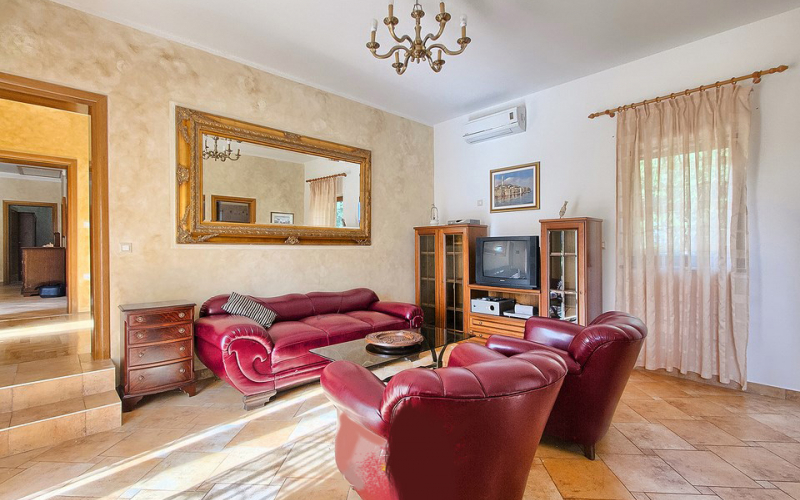 Spacious living room with fireplace, decorated and furnished in antique style with careful selection of antique furniture, large comfortable sofa for relaxing after a swim in the sea or the swimming pool and sunbathing on the boiling summer sun. 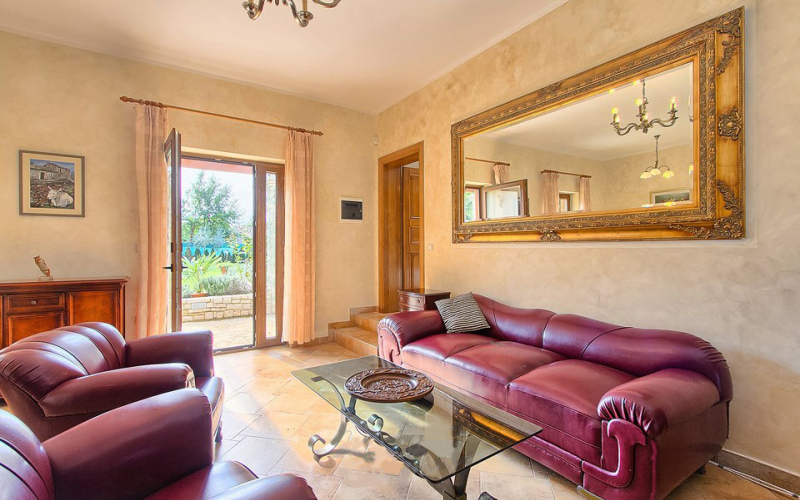 Large sliding walls and two glass doors lead you from the living room and dining room to the terrace and garden with pool. 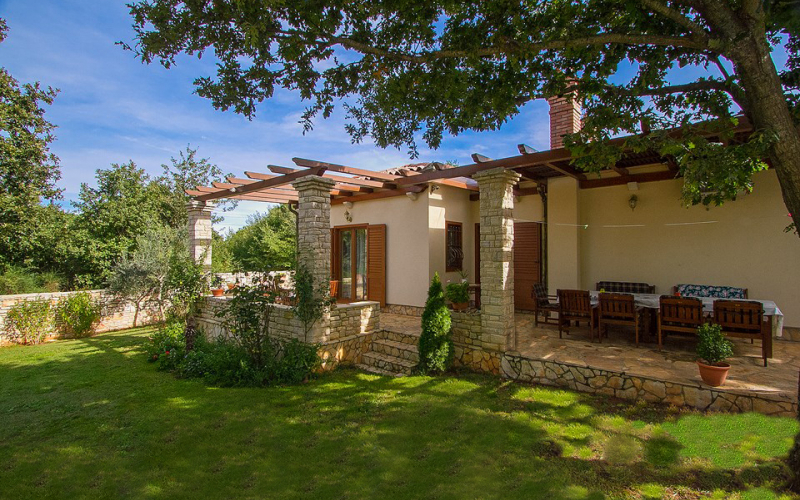 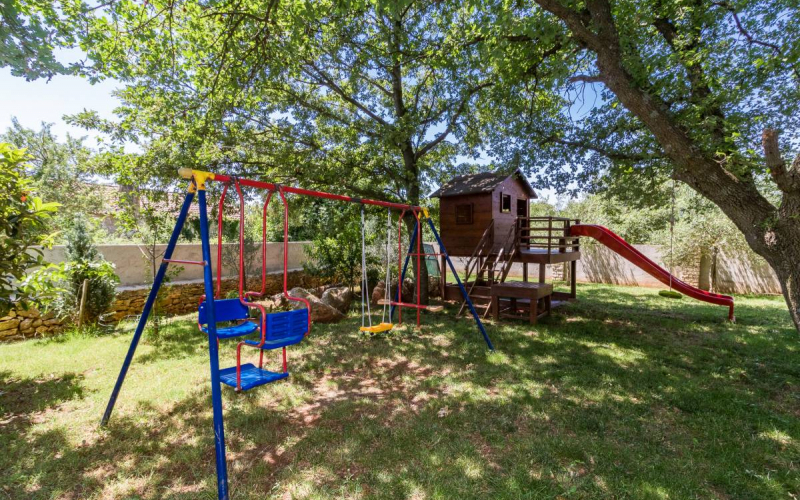 Villa has a large nice yard where are a native plants (lavender, figs, olives) and flowers (roses, jasmine, geranium, etc.) 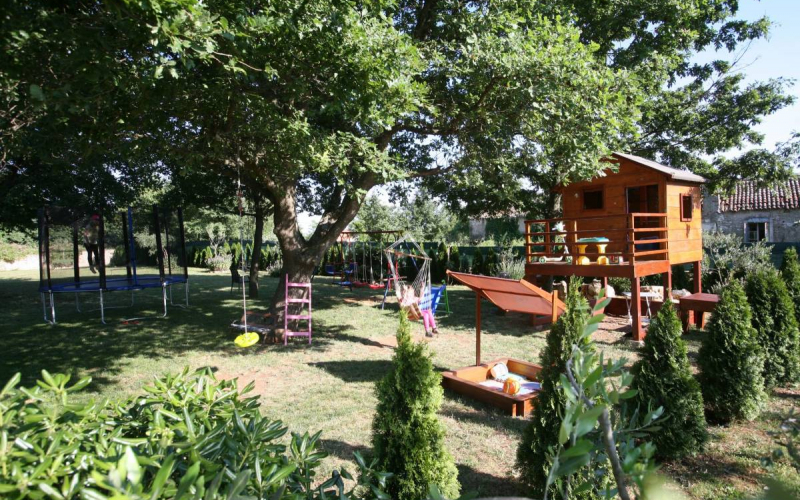 and the existing little oak forest. 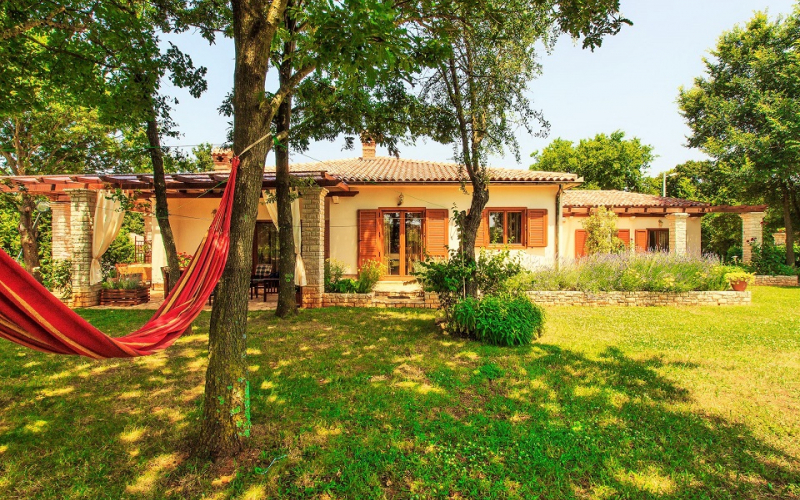 The courtyard was completed with two terraces, total area of 150 m2. 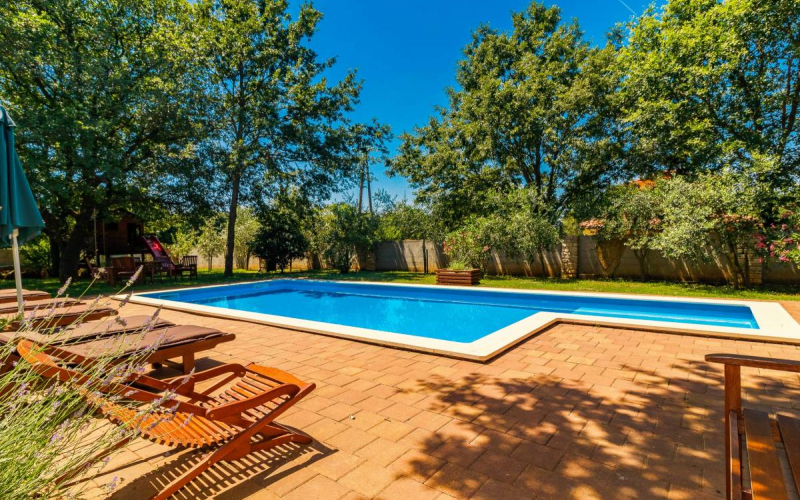 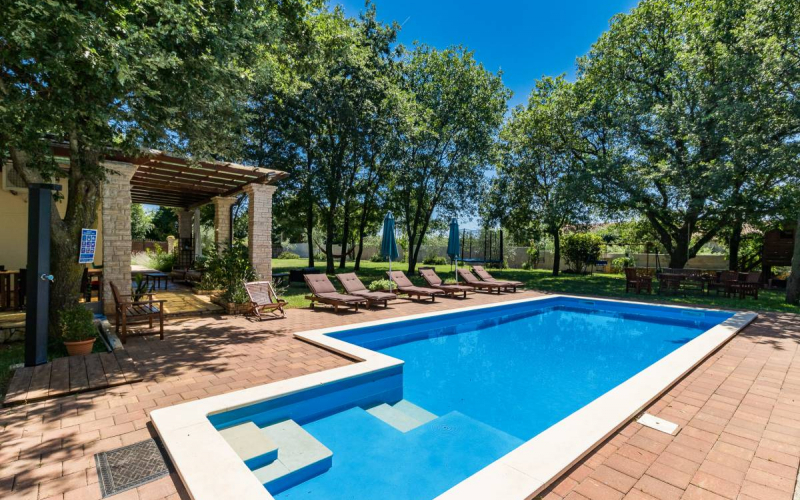 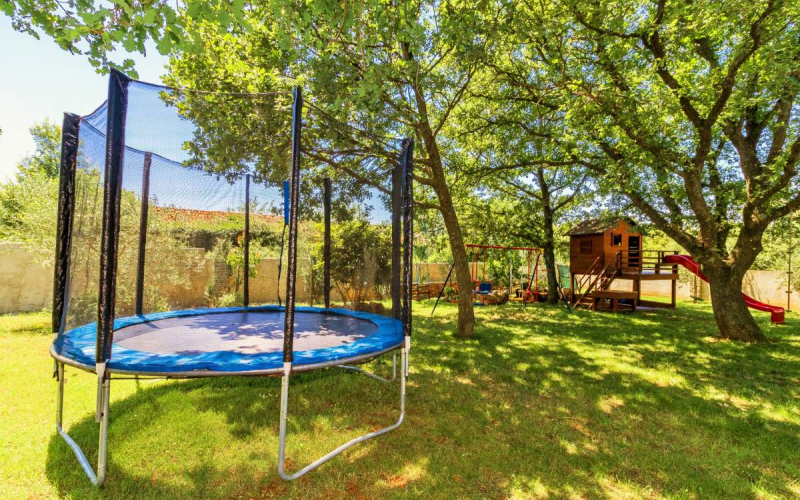 The roofed summer terrace 30 m2 can relax and enjoy the view of the surrounding greenery and pool, and in the evening enjoy a glass of good wine and Istrian fish and meal prepared on a nearby grill. 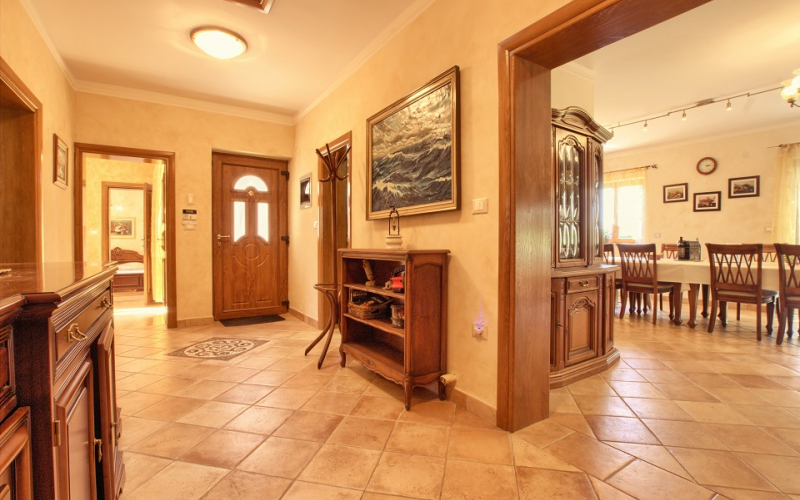 Spacious terrace (cca. 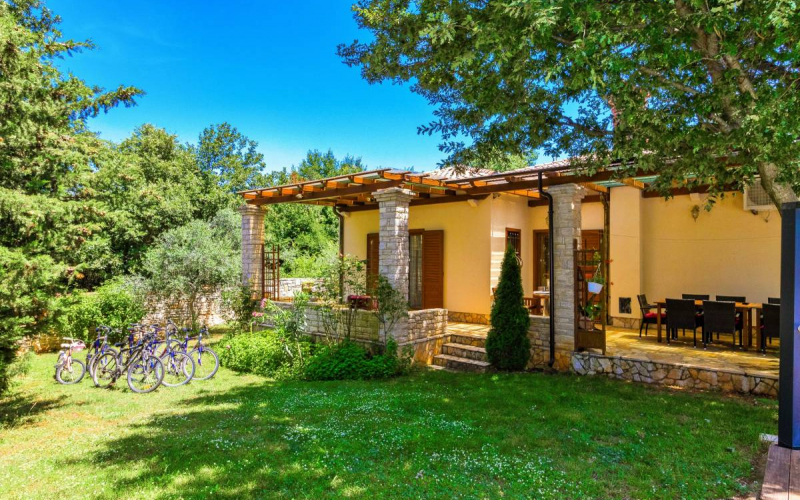 70 m2) with 2 wooden dining tables and outdoor stone sink and grill, and possibility of listening to music, while enjoying your breakfast or a romantic evening relaxation. 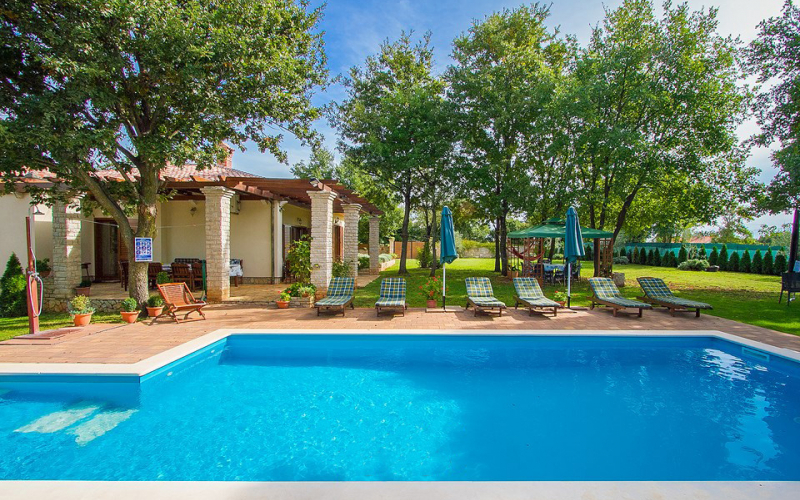 Close to the large terrace there is a pool,( size 10 x 4 m) from which the view extends to green environment. 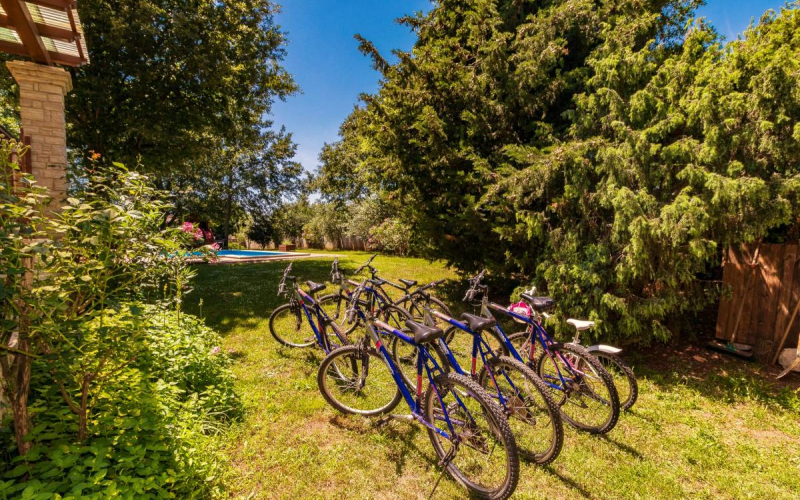 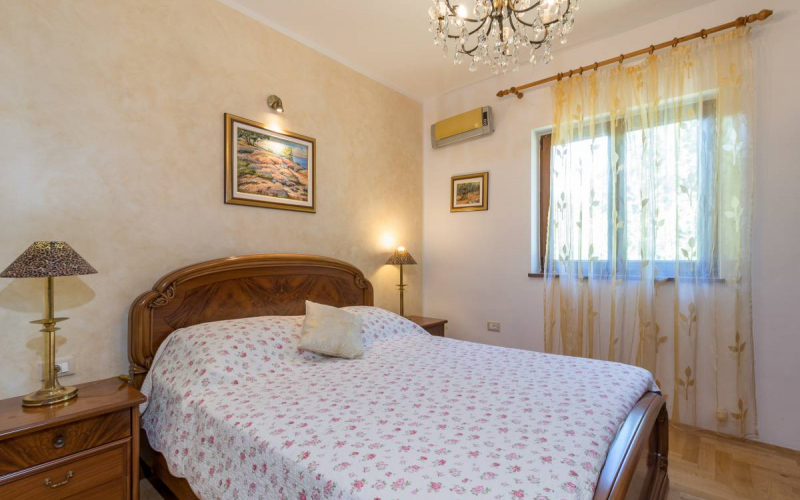 The villa has a parking for several cars, and the region nearby is suitable for walking and cycling around, our guests also have the possibility to use bicycles and learn more about the beauty and charm of the rural area. 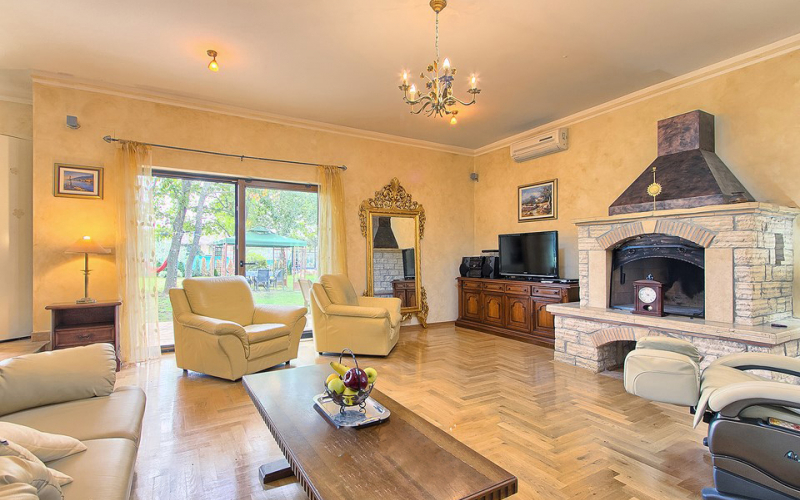 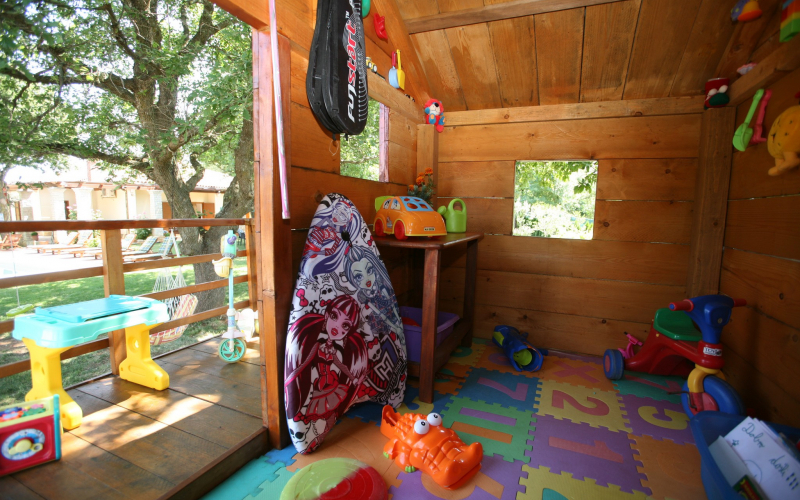 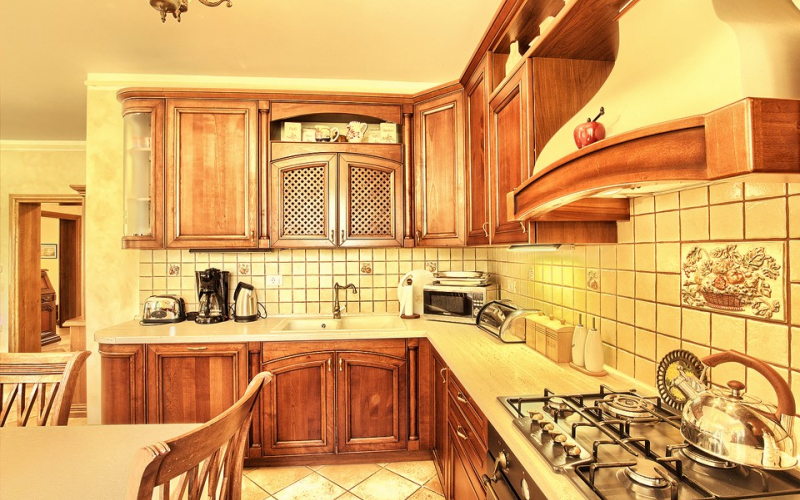 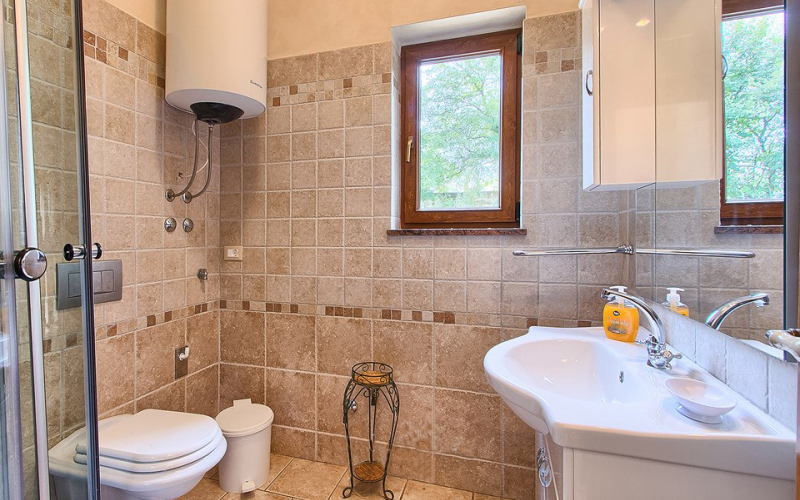 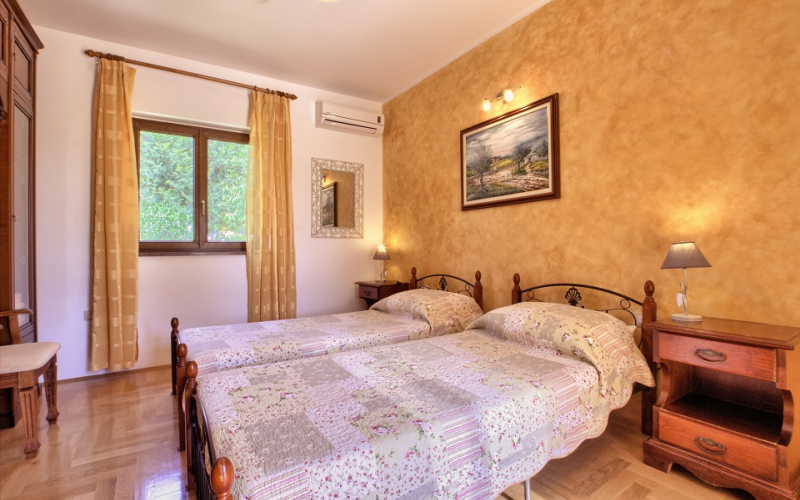 Villa is equipped with air conditioning, (central heating), and with all standard equipment such as stove, dishwasher, washing machine, refrigerator, iron, coffee machine, and other small household appliances, television with satellite TV, etc., and with restored antique furniture.